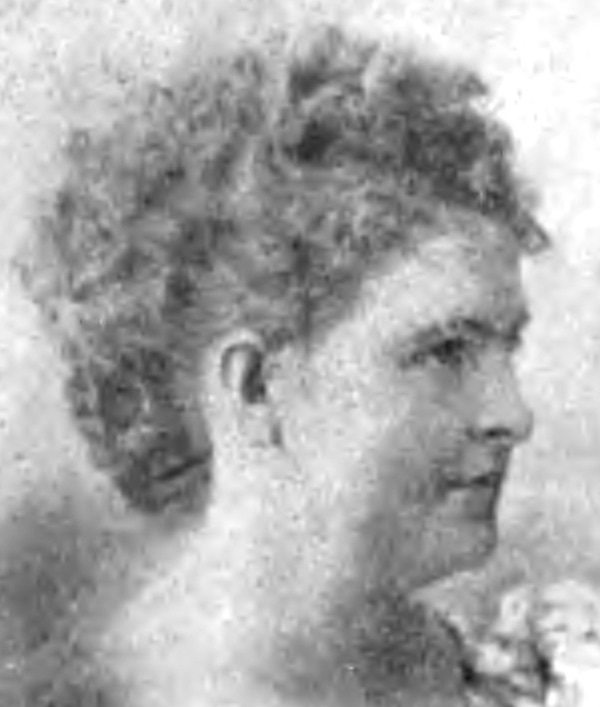 Eldora J. Schofield, from the Phonographic Magazine, June 1901. The business of documenting business is enormous. Governments record meetings, businesses archive emails, people post videos online… The vast records of our doings grows exponentially. And technology makes this possible… effortless. In the 1800s, documenting life was more demanding: businesses employed secretaries, stenographers, clerical aids, and typists (originally called “typewriters”). That record of the 19th century, now more widely accessible through digital archives, is vast. It tells a fascinating story. 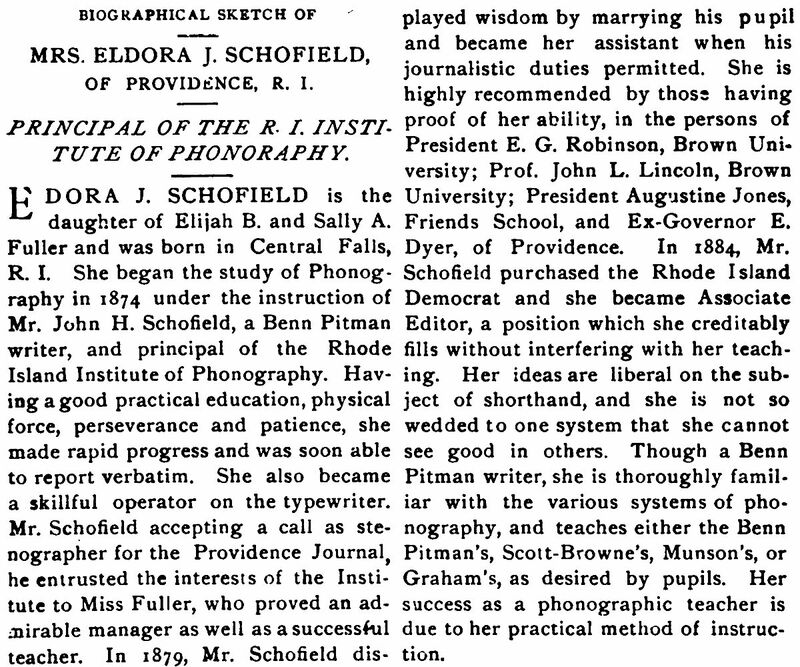 Eldora J. Schofield was among that army of 19th-century documenters. She began as a stenographer/typist (largely the same thing by the late 1800s) and progressed as an editor for the Rhode Island Democrat. She was a “typewriter” who married her boss, John H. Scholfield, but they later divorced. Some partnership, however, seems to have continued between them. Biographical details are sparse, but she ranks among the many female pioneers who reshaped the business of documenting business. Here, John H. Scholfield relates chronicles the vital work of two stenographers in a public inquiry.